Our Fiberglass Pool Repair Process | Texas Fiberglass Pools Inc.
Our Pool Repair Process at Texas Fiberglass Pools Inc. has assembled the best group of Top Pool Professionals and craftsmen in the industry to make up our team of expert fiberglass pool technicians. Our company includes employees with decades of experience and a shared commitment to excellence. Our staff members are hardworking individuals who are dedicated to delivering the highest quality results and top-notch customer service. 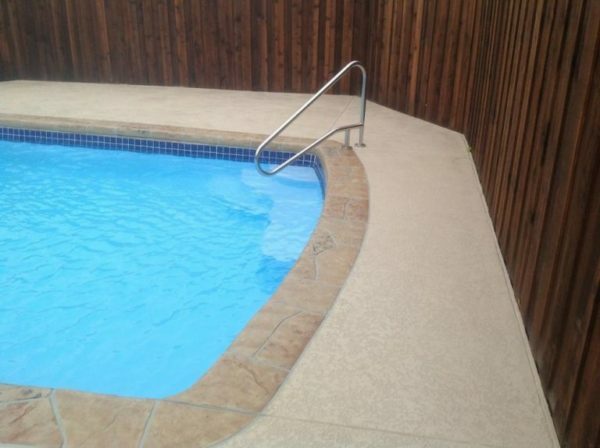 Every project is unique and the Texas Fiberglass Pools Inc. team is skilled in asking the right questions, suggesting the appropriate features, and ensuring every finished job is done to your utmost satisfaction. By staying abreast of industry developments, and making consistent communication a priority, Texas Fiberglass Pools Inc. employees are always prepared to provide a smooth Pool Remodeling and Repair experience you won’t find anywhere else in Texas. At Texas Fiberglass Pools Inc. we understand it’s a huge undertaking when you need pool, deck, fountain or patio work. Whether you’re a homeowner with an older pool or a business owner managing commercial pools, when you call Texas Fiberglass Pools Inc. your concerns are our only priority. Our Pool Repair Process at Texas Fiberglass Pools Inc. When you decide to work with Texas Fiberglass Pools Inc., you’ll be assigned a project manager who will meet with you for your initial appointment and review what will be done each day. The manager will communicate with you throughout the job and follow-up with you after the work is completed as well. Personalized evaluation of your situation. One of our fiberglass pool customer service professionals will take a comprehensive history about your pool and what issues you are experiencing. You will then be scheduled for an appointment with one of our project managers. At your convenience, we will visit your home or business for a no-cost, no-obligation evaluation. One of our project managers will assess your situation, discuss options and provide an estimate. You will quickly get an emailed estimate that details the work, what it will cost and how long it will take. Our office will call you to go over the details and answer any questions. You have unlimited time to check the estimate and review other options. We are always available for any questions. At the end of the project we will schedule an appointment for a final walk through to ensure you are completely satisfied with the end results. We will also go over our chemical sheet so you’re aware of our recommendations. Working With Texas Fiberglass Pools Inc.
Our main concern is that you are happy with the job we’ve done for you. We will follow up after a week and again in a month to ensure you’re enjoying your pool. We’ll also ask you to complete a short survey about your overall experience with Texas Fiberglass Pools Inc.—and we’ll ask you how we could improve.